Generally pet owners, vets and vet staff refer to pet medical cover as “Medical Aid”. Short-term insurance companies are registered and operate in terms of the Short-term Insurance Act, Act 53 of 1998 (as amended). Medical Aids are registered and operate in terms of the Medical Schemes Act, Act 131 of 1998 (as amended). So, it is not correct to refer to pet medical cover as “Pet Medical Aid”. The correct term is “ Pet Medical Insurance”. However, I am sure it will be some time before we get this right colloquially. This article explains to you exactly what a Pet Medical Insurance is and how it works. 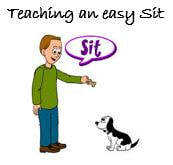 Teaching a young pup or even an older family dog, to sit reliably on command is probably one of the most important lessons a puppy or dog will ever learn!